Pebble Hills University delivers many award programs through our branch campuses and offshore partnerships. If a student satisfactorily completes a PHU endorsed course through your institution, s/he will be eligible to apply for a certificate from the University. Students eligible for a certificate will access it in a digital format – printable, downloadable and verifiable. The procedure would be easy – Our Curriculum Review Committee will review your courses’ materials and let you have the simple application form for your students if your courses meet the prescribed requirements – this endorsement will boost your courses’ marketability and provide one more option to your students/graduates. 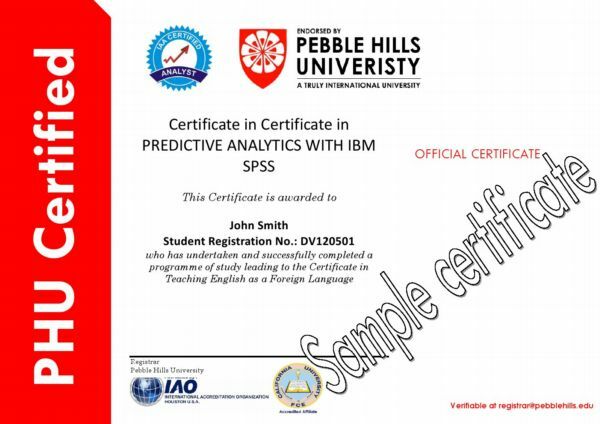 Please find the sample certificate for your reference. You may be interested in our co-branded certification program as well. 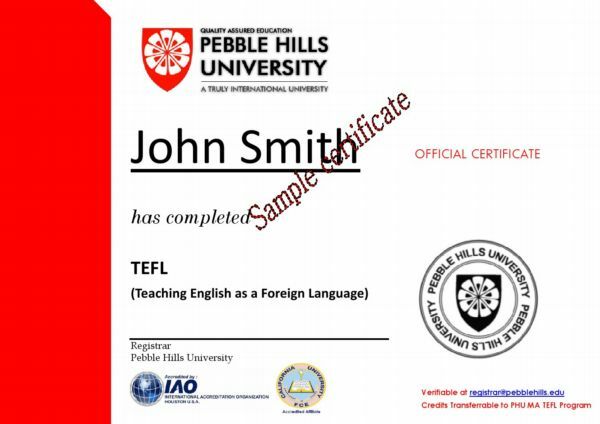 The Co-branded certificate is also printable and downloadable by the PARTNER institution instead of the students to make sure the quality would be excellent. B. Double Degree Arrangement upon payment of fees agreed by both parties.